Formulated with citronella oil, this non-toxic spray is one of the safest mosquito repellents in the market. It contains no insecticides or pesticides making it extremely family-friendly. Citronella in the spray masks human scents such as carbon dioxide and sweat that attract mosquitoes and reduces mosquito landings and the risk of mosquito bites. Explore the entire range of Insect Repellents available on Nykaa. 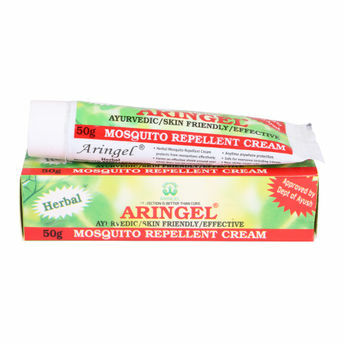 Shop more Aringel products here.You can browse through the complete world of Aringel Insect Repellents .Alternatively, you can also find many more products from the Aringel Mosquito Repellent Cream range.